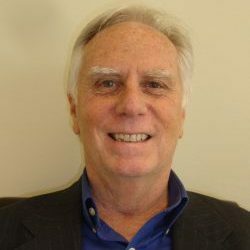 Pat Garrehy is the CEO and Founder of Rootstock and a 30+ year veteran of the technology industry. Bruce Richardson, Chief Enterprise Strategist at Salesforce.com recently commented: “Pat Garrehy is a living legend. Nobody on the planet knows as much about ERP as Pat.” He also founded and was the former CEO of Relevant Business Systems, a client-server ERP software provider with an exclusive focus on discrete manufacturing companies. Relevant was sold in 2006 and is now owned by Aptean. ET: Who was your inspiration and why? PG: I guess you’re going to have to go back to my early days because it’s been a continuum since I got in this business. My father was an entrepreneur himself and my grandfather was a gold-miner and entrepreneur up in California. Then I got into things like manufacturing and computers so it became people like Bill Gates and Larry Ellison. After that it’s just people that I have grown to know throughout the last 40 years. One person who inspired me was a guy by the name of Gene Amdahl. Gene founded Amdahl computers and was one of the first to build IBM mainframes. Gene was somewhat of an inspiration. He was on our beta site for the first product I developed with Martin Marietta. He was on my board of directors for Relevant, my first company in 1983. Watching what he did, the highs and the lows, what to do and what not to do was, I would say, a little bit of a guide. Not that he was always the mentor, but he was a guide. PG: It has changed over the years. Definitely “hands on”. I want to empower my people but be very careful until I know they can be empowered. Today I feel very confident about a lot of our organisation. Obviously, I had a heavy hand in the development, support and implementation but don’t have to worry about that any more. I have a guy running sales that I have known for 20 to 30 years and I don’t have to worry about that any more. Now it’s about building my channel. I have definitely got my hands in that. I’m hands on raising money and on building up to the next stage, then I let it go. When I sold my first company Relevant, I knew that it was standing on its own and nobody needed me anymore. So I definitely would like to empower our organisation but I’m practical enough to know you just don’t turn it over all at once. ET: What’s on the radar in terms of the future for Rootstock? When we first started with NetSuite everybody you competed with was on-premises. Is anybody going to go the cloud or are they not? Manufacturing is the last to go. 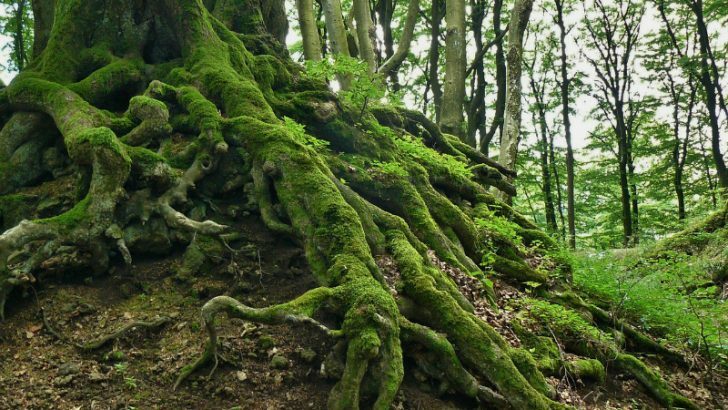 (Rootstock first launched on the NetSuite platform, however the application was migrated to the Salesforce platform after a few years). Today, the small to medium businesses are buying something contemporary, they are buying cloud. The larger guys are saying “we got a cloud ERP initiative”. What is that? I don’t know. Our peers have a cloud ERP initiative so we have to have a cloud ERP initiative. It’s the same thing. What’s wonderful about us is they’re looking at Salesforce because of all the hoopla, and we’re there. I project that by 2018 we’ll start to be in the heyday, but right now it’s exploratory. A lot of our clients are small to medium businesses. What’s next for me is I’ve built a great crew and a great product with a great partner Salesforce. Now it’s building the next generation of the crew. Mentoring the younger folks with our most senior executives and building a reseller channel. A lot of this is in Europe with Jan Baan in his constituency. In the last 90 to 120 days we’ve got 7 partners, senior guys coming out of retirement because they see that “hey this is going to explode.” But we’re doing it carefully. That’s the next thing on the horizon. PG: Exactly. We came out of the big guys so we know what it was like when it builds up. We also built the product to scale. The larger companies want something that has deep functionality, is easy to use, agile and not encumbered with a lot of the stuff that they didn’t use. We’re the closest thing they’ve seen to that picture they have in their head. 85 per cent of our customers are under $100 million a year right now. It will change over time but we will never forsake the small to medium business. ET: What are the key challenges you think are currently faced by your industry? PG: A couple of things. 1992 to 1994 was where the big ERP vendors SAP, Baan and Oracle were born. By 1998 there was 25 other ERP companies that were worth $50 million or more in the market. One of the biggest challenges we have today is that there is not that kind of competition. NetSuite was bought by Oracle. There’s us, there’s Plex so not a lot. One of the challenges is this market doesn’t feel like it’s been validated yet. I think that’s a challenge. ET: What I find odd is that I don’t really see anybody else on the Salesforce platform. PG: There are a couple of others, small players, and then there’s another company called Kenandy who don’t have the total ERP that we do. Other than that, there’s hardly anybody. I mean you hear about FinancialForce because they have the ERP, but they’re not in manufacturing. They never will go into manufacturing. Jeremy won’t do it. ET: What are the key business challenges for the next 12 months? PG: Number one is growing that channel network. I wouldn’t say really product challenges other than always be contemporary. Building the crew, making sure you make the right hires at this point, because you’re building a base. Making sure your customers are happy. After that everything will take care of itself. Another challenge, I would say, be prepared for the onslaught. ET: When you say the onslaught….? PG: I mean I think we’re going to have a lot of attention. ET: Are we at the tipping point? PG: Yes, it is the tipping point even though it’s ERP. The tipping point is a big ball pen like a two-year tipping point, but it’s a tipping point. Gartner was predicting in 2009 that the tipping point would have been a year ago and now they’ve changed it. Analysts will always be right it’s just that they might be right slightly later. ET: What are your personal challenges over the next 12 months? PG: I think the personal challenges are to ensure that the firm is ready. We know what to do. It’s a matter of execution and execution takes people. Making sure that they’ve got the staff that allows them to do what they need to do. It’s building the business. Outside of work I’ve got my 5 kids, my wife, my business and when you’re winning it’s fine. ET: What was your darkest business day and how did you overcome it? PG: My darkest business day was having a decisive board of directors on my prior company and the only thing we could agree on was selling it. So I sold my baby and there’s the good and the bad. I had to sell it, so I left it and that’s sort of the bad. It was a cash-cow and I was looking forward to having a nice retirement. Had I not sold it I wouldn’t have done this. Life is funny..
PG: To date. I would say my kids, to be honest with you. If you’re not careful you get sucked in to your business and it’s a regret not having spent time with them but you’re so proud of what they are doing and where they’re at. A lot of it is attributable to my wife versus me, but I am very proud of my kids. ET: Can you share any tips for any new CEOs as you’ve done this job for a while? PG: I will tell you a tip I received when I started my first company. Make sure you build your business, you’ve thought about the exit strategy and make sure you don’t try to go too far too fast. Stick to your vision. ET: I wonder if you had any tips for start-up CEO’s trying to raise funds, or looking to raise funds? PG: 2016 is tough. I would definitely say try to go Angel at this point. Build yourself a model that can get your product out, get some credibility and get a good core crew. Look at the market and then go for bigger money later on, especially because of the valuations right now. My advice may have been a little bit different 2 years ago. ET: What is the latest business book you have read, or your favourite book? PG: My favourite book? Oh man. When I was reading books, this will be a funny one, the Z80 Chip Book. It dates myself. I was into thinking maybe I wanted to do an operating system like Bill Gates way back in the day. A guy by the name of Federico Faggin had written that thing and I said: “nah I think I will go with applications”. So I really read that book from stem to stern, thinking operating systems and database systems was something I wanted to do. ET: How do you prioritise your day to day work against the strategic stuff? PG: Strategic stuff is on Saturday and Sunday. The operational stuff is during the day, Monday through Friday and at night for a couple of hours. It’s a mixture. I sleep 4 hours, wake for 2 then try to sleep another 2 or 3. We have Europe, our development crew in India and it works. ET: How do you keep believing in your vision when odds are stacked against you? PG: I would always say that you look for the silver lining. This is a big market with a lot of cracks and crevices. I happen to know the way we built the product. If I needed to I could niche it. I niched it with my prior company in defence in around ‘94/’95. I saw what was going on and thought okay, the big guy is going to own the ERP market. ET: How do you approach the challenge of rapid growth while maintaining culture? PG: That would be a challenge. I’m not sure how I would do that. I will just have to figure it out. It’s a challenge for everyone. Hopefully, what we’ve done is to build the core with the right values. ET: How do you see the company changing in the next 2 years and how do you see yourself helping to create that change? PG: I definitely see it changing significantly and because of the channel partners I expect to grow up to 200 per cent. Everybody we hire right now is a generation younger, one to two generations younger, than I am and they’re all smart people. You get them knowledgeable quickly so the things that took me 5 to 10 years take them 2 or 3. It’s building the right base of younger staff. ET: What’s the one question you would like to ask another CEO? PG: It’s always the famous one: “what keeps you up at night?” Because as soon as you ask that question, that gets you to the secondary and tertiary discussions. ET: So what keeps you up at night? PG: What keeps me up at night is how are we going to manage this growth? How do we keep our customers happy? There is always a department that’s at the top of my list of how they can do better. Once we solve that one another one takes its place.